The CFP Certification is a globally-recognized certification in the field Financial Planning. 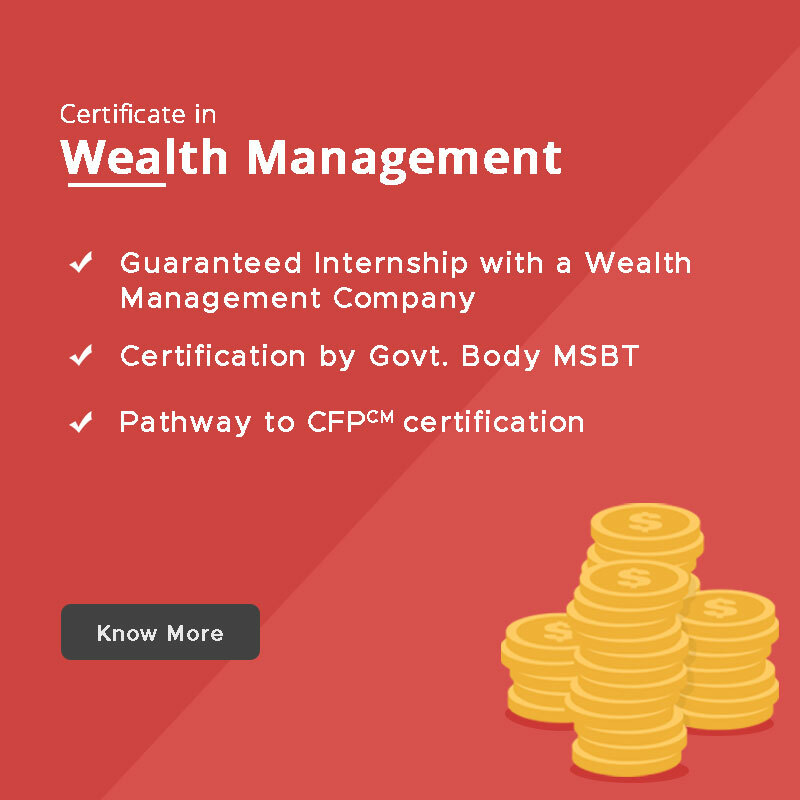 With a deficit of 50000 financial planners in India and wealth Management industry growing at a rate of 20% Y-O-Y, CFP cm certification equips you to make a career into financial planning and wealth management. In this page you can explore about what is CFP, its syllabus, Exam registration, Fee Structure, Career options after CFP and how to pursue CFP and other details. What is CFP Certification Course? CFP Certification is the leading Certification globally in the field of Financial Planning with over 1,70,000 Certificants. It is popular in more than 26 countries across the world. In India, the Certification is granted by Financial Planning Standards Board – India (FPSB). For those looking for a career in the financial services sector, CFPCM Certification provides a definite edge over other candidates and widely respected by consumers, professionals & industry. As more and more people are shifting from traditional asset classes like real estate & Gold to asset classes like equities and fixed income. Financial planning as a need is increasing among the middle income group, which provides a huge demand for financial planners. Eligibility: candidate with advance qualification such as CA / Intermediate level, CFA (US), ICWA, CAIIB, CS, LLB, PhD, M.Phil, PG, Licentiate/Associate/ Fellowship of Life Insurance, Actuary, FFSI & FLMI from LOMA, Civil Service Examinations by UPSC are eligible for challenge status. Examination: Need to clear only one paper of advance financial planning. 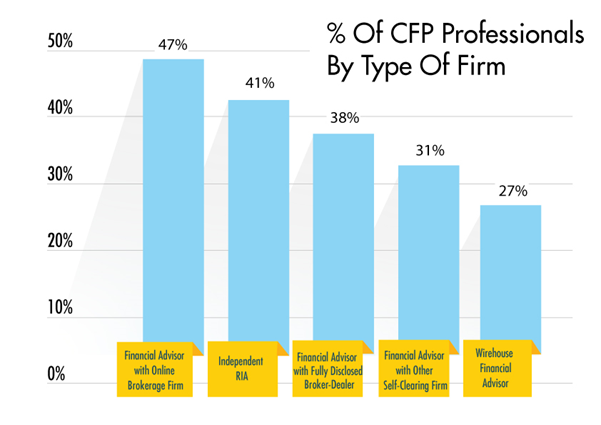 Is the CFPCM Certification only for Financial Planners? No, the CFPCM Certification is suitable for a wide range of professions including but not limited to financial services professionals, customer relationship officers, insurance agents, stock brokers. So, if you want to enhance your career in the financial services business and want a certification that is globally recognized in the corporate world then the CFPCM certification is what you need. What are the career possibilities for a Financial Planner? The current global population is growing not only in terms of size but also in terms of the annual salaries that it draws. Hence the number of people that require financial planning assistance is on the rise. Financial Planners are hence essential for a huge number of working professionals. Along with individuals, even corporate outfits such as Banks, Financial Planning Outfits, Wealth Management Companies, Insurance Companies, Accounting Firms, etc. seek Financial Planners. Financial Planners are well-versed with several relevant issues related to retirement planning, estate planning, tax planning, investment planning, insurance planning, financial management (for various business sizes), trusts, stock broking, debt and risk analysis. This ensures that the Financial Planner can fit into a variety of roles. How does the CFPCM Certification Program and the CFPCM marks help me? Since the CFPCM certification is well-recognized in the corporate world, it instantly increases your employability. Knowledge of the core concepts of the curriculum improves the experience of your clients and hence leads to a longer and more satisfying relationship with them. Increased avenues of revenue making and a wider range of service offerings. Recognition as a CFPCM professional in over 26 countries across the world. What are the various revenue streams available to a Financial Planner? The three primary revenue streams that are available to a Financial Planner are salary and/or fees, commissions and a combination of the two. Salary / Fees: Usually paid by a company can be a flat rate or on an hourly base. It may also be derived from the percentage of the assets invested and /or income generated. Commissions: Usually paid by a third party for the products recommended by the Financial Planner and sold to the clients of the Financial Planner. Combination: Fees are charged for the amount of Financial Planning and commissions are received from any product sold based on the recommendations of the Financial planner to the client. Is the CFPCM Certification globally well-recognized? Of course, the CFP Certification is currently offered and recognized in over 25 countries including Australia, Austria, Belgium, Brazil, Canada, China, China Taipei, Columbia, France, Germany, Hong Kong, Indonesia, Ireland, Israel, Japan, Malaysia, New Zealand, Republic of Korea, Singapore, South Africa, Switzerland, Thailand, United Kingdom and United States of America. FPSB, Denver, US enters into licensing and affiliation agreements with non-profit organizations (or their equivalent) around the world that allows the organizations to establish and operate the CFP certification program in a country or region. FPSB Affiliates who meet and maintain FPSB’s affiliation criteria of high standards are authorized to administer the CFP certification program on behalf of FPSB in a country or region. FPSB India, one of the Affiliates of FPSB, Denver, USA administers and operates the CFP certification in India. The CFP certification awarded in India is recognized globally and governed by cross border policy usage.